One of the most embarrassing things to me when I was a young teenager was acne. I didn’t have it as bad as some, but I did have it worse than others. I was willing to do ANYTHING to have a clear face. My mom had no knowledge of natural health and I was far from the natural journey that I’m on now. I was completely clueless about anything I could do to help myself. This lack of knowledge landed us in a dermatologist office. Not that I’m saying dermatologists can’t ever be of help, but this dermatologist prescribed me daily antibiotics (for SIX years!) and an even stronger medicine for 6 months that left open sores on my skin and the medicine is now on a list of being not safe (obviously). I honestly at the time believed all medicine to be great if it improved the symptoms and I gave no thought to the warnings and possible side effects printed on the inserts. All I knew was that my face stayed clear as long as I took the medicine! Needless to say, I’ve paid greatly with my health as a result of taking the medication and am still on the pathway of learning and healing. I say all of this because I am SO thankful I can teach my children how to treat acne naturally! I don’t want them to suffer as I have due to lack of knowledge. 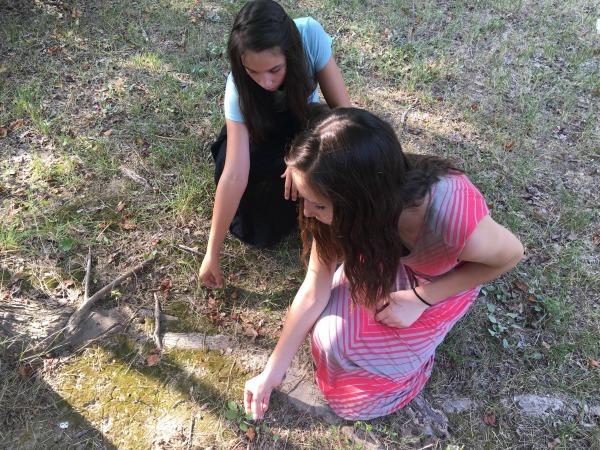 I think it’s important to not only make natural medicines for my girls, but to TEACH them how to make them themselves so they are equipped for the future. I think it’s important to teach teens what causes acne. I’m not going to go into depth with this post, but the true cause of acne is basically because of a toxic body and an imbalanced hormone system, compromised liver, and poor digestive system. The cause of this is diet. Sugar, fast food, packaged food, etc. all have chemicals that cause the body to become toxic. When teens hit their hormone changing years, things get worse and toxins push out of the body in the form of acne. There may be bacteria that lives on the skin that can contribute to acne, but the root cause is TOXINS. 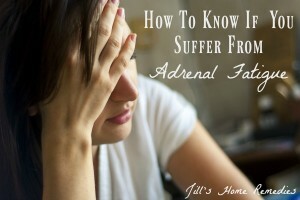 Detox baths on a regular basis help with this. Teach your kids about nutrition and research together what the ingredients are in the food you eat. It’s pretty difficult (though not impossible) to consume a “perfect” toxin-free diet. I certainly don’t eat a perfect diet, but I eat a lot better than I used to and am always trying to improve this area. Teaching your kids about true nutrition will hopefully help them make better food choices. 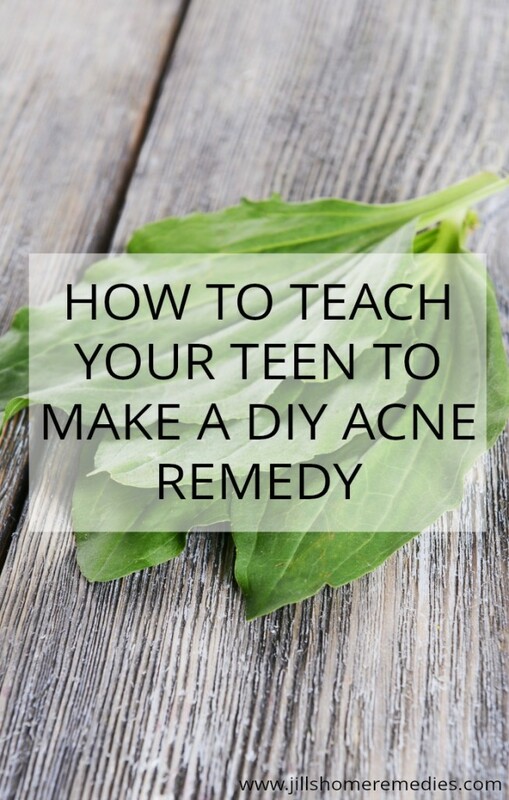 Even if you are not up to addressing diet or detoxing in your teen’s life right now, this acne remedy WORKS regardless! I may just be bold enough to say that it works better than any medication (in my experience), and it’s a whole lot safer. I made this acne remedy for a teenage guy that exhausted medication at the dermatologist and thought nothing would help. BUT this acne remedy did work for him! 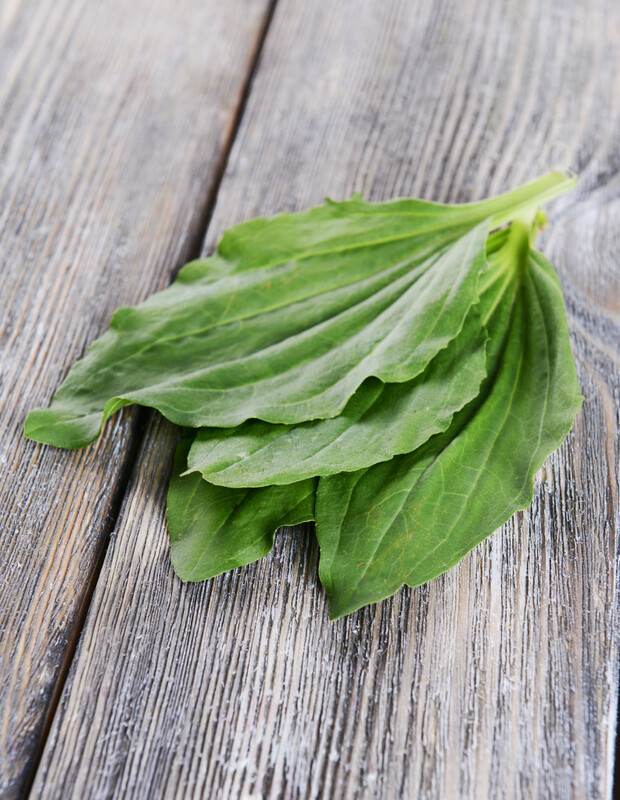 Plantain is the featured plant in this recipe for acne! And it grows everywhere all over the world (except Antarctica). You should have plenty growing in your yard or somewhere nearby. 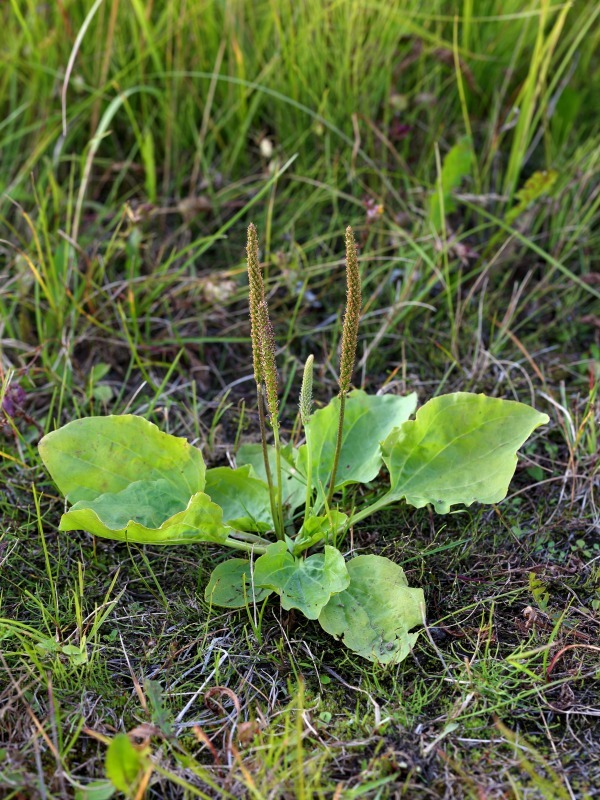 It’s one of the most common “weeds” around. Make sure you pick plantain from an area that is not sprayed with pesticides. It’s important for your kids to recognize herbs confidently so they can use them safely and successfully. Here’s a beautiful plantain plant in full bloom! It will grow these seed pods in the mid to late summer. The leaves, however, start growing in spring and can be used anytime! You can also purchase dried plantain here if you can’t find fresh. You’ll just use a different amount for the recipe, but I’ll make note of that below. It’s super simple either way! Plantain is an astringent herb, meaning it has drawing properties. That’s just what we need for acne! We want to draw the toxins out! 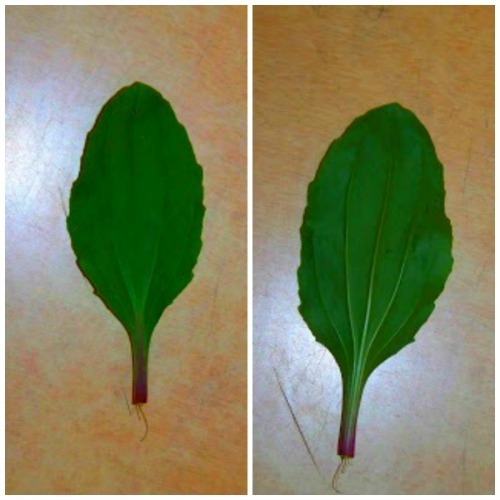 Here’s the front and back of a plantain leaf I picked. It’s a smooth leaf with raised veins on the back of it. The number of veins depends on how big the leaf is. Also take note that the bottom of the leaf has a purplish/reddish color. For this recipe, you’ll only need raw apple cider vinegar, plantain, and a jar! Use whatever size jar you wish, depending on how much you want to make at a time. We’ve already discussed how plantain helps acne, but raw apple cider vinegar does too! 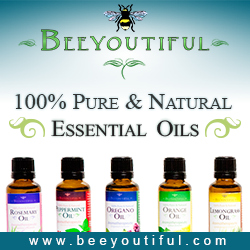 It’s also an astringent and with regular use, can help pull those impurities out and clear up the skin. So with the plantain and the vinegar, you’ve got a powerful weapon against acne on your hands! 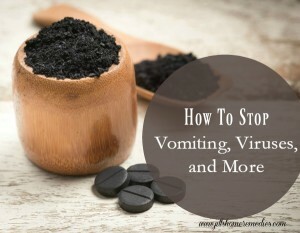 Concerned about the smell of vinegar on your face? No worries. It disappears after a few minutes. Tear plantain into smaller pieces to help “bruise” the leaves and release the properties. You can also crush the leaves with a glass jar. Fill a jar with fresh plantain (leaving a 2 inch headspace) or fill it halfway with dried plantain. Fill the jar with the raw apple cider vinegar, leaving a 2 inch headspace. 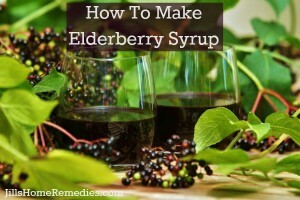 Cover with a lid and leave in a cabinet for 2-4 weeks. Shake jar daily or at least a few times a week to keep things well distributed. After 2-4 weeks, strain the herb out and retain the liquid. Note: Apply the plantain vinegar morning and evening everyday to face, back, chest, or wherever you have acne. Don’t wash the vinegar off but allow it to do its work all day and then all night after you apply it before bed. You can apply makeup over it once it dries. Because the plantain pulls toxins out, you will most likely have more breakouts for a few weeks before it clears, but be consistent every day and you’ll reap the rewards! Tear plantain into smaller pieces to help "bruise" the leaves and release the properties. 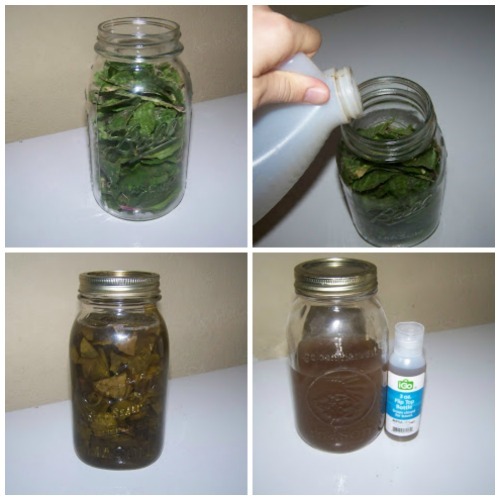 You can also crush the leaves with a glass jar. Apply the plantain vinegar morning and evening everyday. Don't wash the vinegar off but allow it to do its work all day and then all night after you apply it before bed. You can apply makeup over it once it dries. Because the plantain pulls toxins out, you will most likely have more breakouts for a few weeks before it clears, but be consistent every day and you'll reap the rewards! 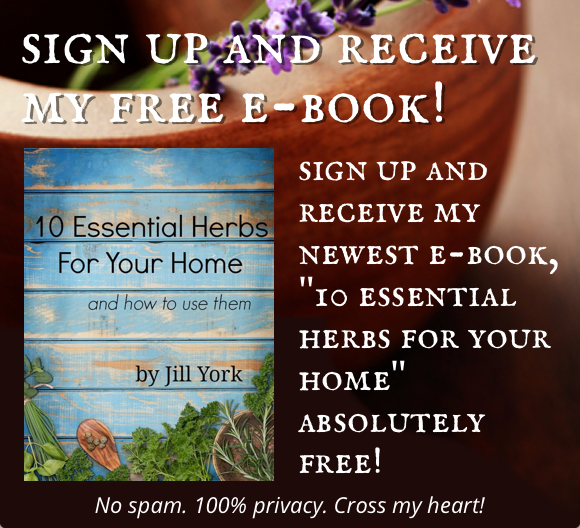 You certainly don’t have to be a homeschool mom to teach your kids about herbs, but I have an exciting homeschool giveaway to share! 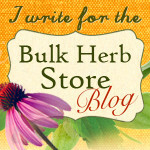 Rainbow Resource and Christianbook has some awesome herb books to choose from! I’ve already started a list! We know homeschooling can put financial strain on families – whether it’s from living on one-income or buying curriculum for your children – the financial aspect of it can be stressful. 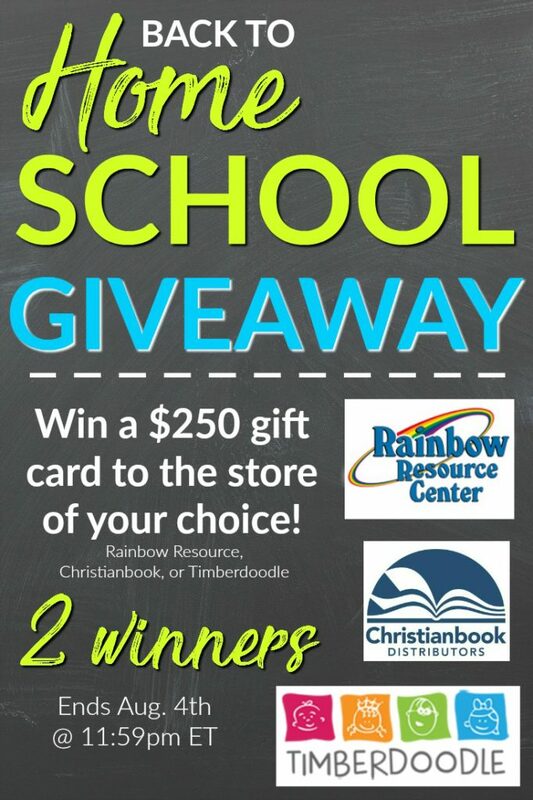 Our hope is that we can bless homeschool families so they can buy the curriculum and supplies they need (or maybe a want you can finally splurge on) for their school year. To enter for your chance to win, simply use the Rafflecopter form below to enter. Now I know that is quite a few entries for you, but each of these bloggers generously chipped in their own money to bring you this giveaway, so I hope you will take the time to do all of the entries. And hey, the more entries you do, the better your odds are at winning! Giveaway ends August 4th, 2017 at 11:59pm ET. Must be at least 18 years of age. Selected winners will have 48 hours to respond to email notification to claim their prizes or another winner will be drawn. Please be sure to read the Terms & Conditions upon entering the giveaway. Do you have to wait 2 weeks while the vinegar soaks up the plaintain before using it? 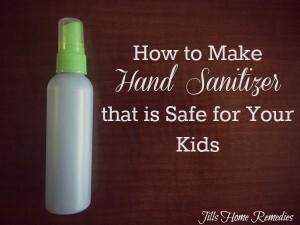 My son wants to know if you smell like vinegar while using this. Yes you do have to let the plantain sit in the vinegar for at least 2 weeks. Be sure to shake it almost every day. The vinegar smell does evaporate after a while. Just use it early in the morning and before bed and you should be fine! We’ve never smelled like vinegar. We’ve been home schooling for 7 years now. We have been homeschooling for 10 years. Thanks for this! Since moving to Colorado (from NC), the things we used to do for my girls’ faces haven’t been working. I can’t wait to try this! Hi, Beth! I hope this works well for your girls! And thanks for both comments! I love hearing from you. Oops. I was supposed to comment with how long I’ve been homeschooling. I started in K with my oldest, who will be a senior this year, so we are headed into our 12th year! I’ve been homeschooling for 10 years! We started after my oldest finished 2nd grade in public school. Thanks for the post, shared it with a friend, hope it helps her kid. 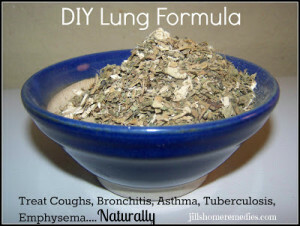 Thank you for the natural remedy! I know of some kids who will be happy to hear about it. And thanks for the giveaway, too! Awesome tutorial. If you don’t have time to do this yourself, try TCM. Nice tips, will share with my friends.